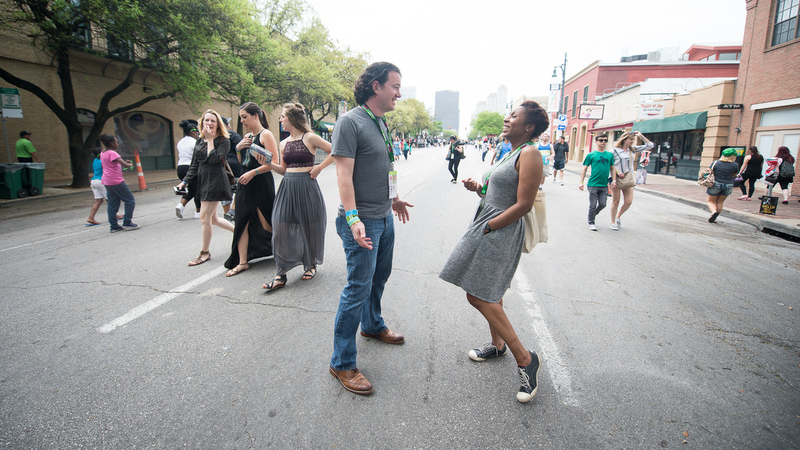 SXSW At 30, With A View From Street Level During her first visit to SXSW, Audie Cornish talks with festival veteran Stephen Thompson of NPR Music the festival's history, what people expect to hear and how it has evolved over the decades. 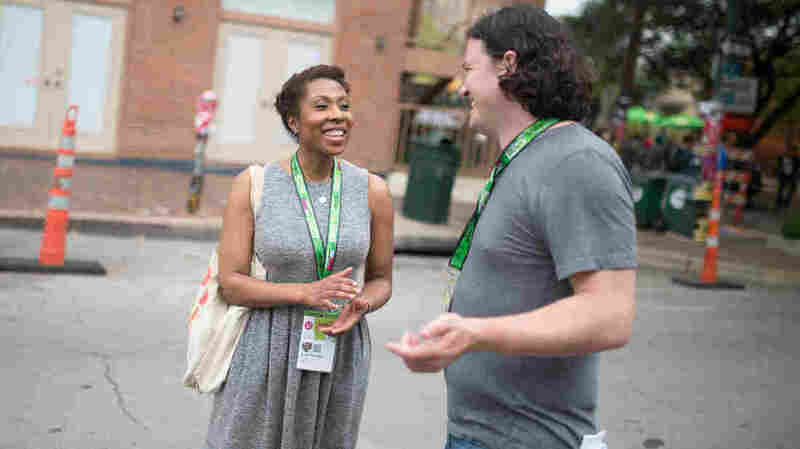 All Things Considered host Audie Cornish and NPR Music's Stephen Thompson explore Austin during the 30th South By Southwest festival. Now in its 30th year, Austin, Texas' South By Southwest music festival has grown from a sparsely attended local showcase to an internationally known juggernaut. These days, more than 2,000 acts — not to mention many thousand more fans — travel from around the world to convert Austin into one clamorous five-day concert experience. 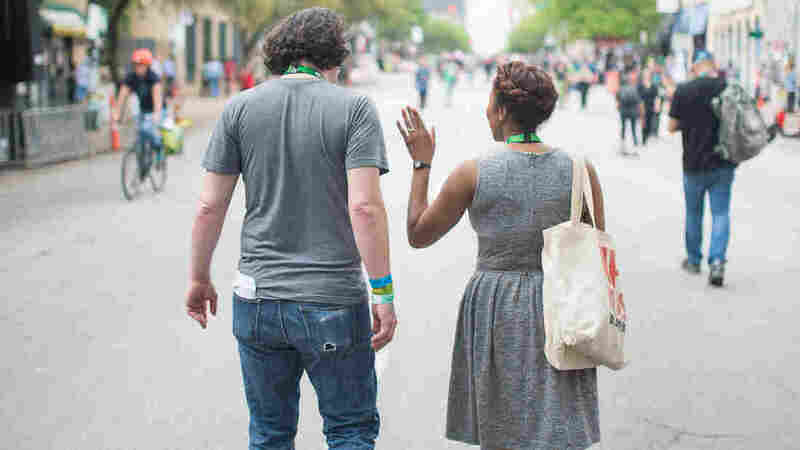 NPR's Audie Cornish recently dropped into the festival for the first time, and for guidance called on a colleague who hasn't missed SXSW in 20 straight years: NPR Music writer and editor Stephen Thompson, who recently stood with Cornish on Austin's Sixth Street during a busy afternoon at the festival. There, they discussed SXSW's origins, its allure, its unlikeliest stages, and its dominance among local festivals of its kind. Cornish says the festival has grown tremendously since its first iteration. All Things Considered's Audie Cornish and NPR Music's Stephen Thompson. "It started ... thirty years ago when a bunch of staffers from the alt weekly, The Austin Chronicle, and a couple of local music bookers wanted to create a showcase that could get them attention for their music scene outside of New York and L.A. and Nashville, and really bring the music industry here to see the talent in the middle of the country," she says. "Fast-forward to today and something like 8,000 bands apply to play 100 stages." Thompson says that beyond the festival's 100 established stages, South By Southwest gives fans an opportunity to see bands perform in some much stranger spaces. "For a few years bands used to play in the mouth of a 54-foot Doritos vending machine," he says. "I've seen bands perform in the middle of a busy thoroughfare. I've seen bands perform on the back of flatbed trucks. And I have seen bands perform in absolutely — as I did this morning — in an absolutely empty venue. And it's very hard to leave when that happens!" "For us, it's still about discovery," says NPR Music's Stephen Thompson about South By Southwest. Along the way, Cornish and Thompson examine the rise of music streaming and the effect it's had on the way fans discover music — after all, if every band can distribute its music worldwide with little effort, can anyone be truly "undiscovered"? But Thompson says there's something special about having so many up-and-coming acts, and so many passionate fans, in one chaotic and cacophonous place. "For us, it's about discovery," he says. "It's still about going and seeing things that we hadn't seen before, talking about things we hadn't talked about before, and coming out of it with a new set of dozens of artists that we are excited about that we didn't know to be excited about before. " 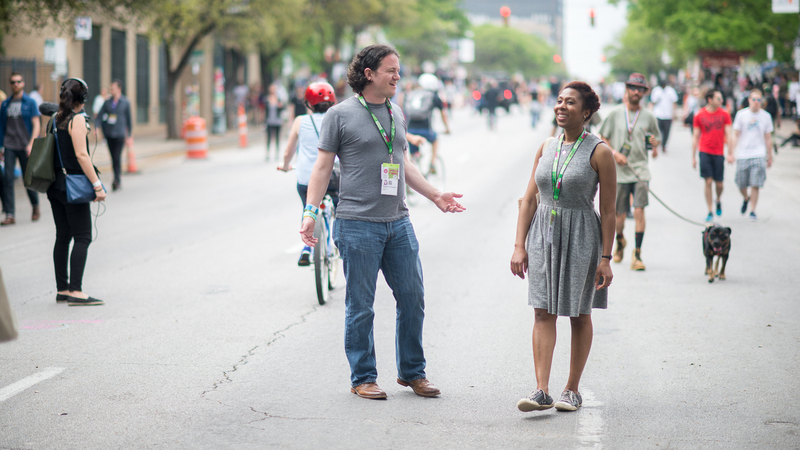 Audie Cornish and Stephen Thompson on the streets of Austin, TX during South by Southwest.